People are spending more time at home and that’s a good thing. With home features that support your family’s interests, you’ll want to stay home more. That’s why we’re exploring features that can add to your family’s enjoyment. Equally important, these features will differentiate your home and make it easier to sell when that time comes. When you buy a house, everyone focuses on the money you need to complete the purchase. Less attention is paid to monthly operating costs once you complete the purchase (read True Cost of Home Ownership). The first six months are spent moving and settling into your new home. Then life takes over. 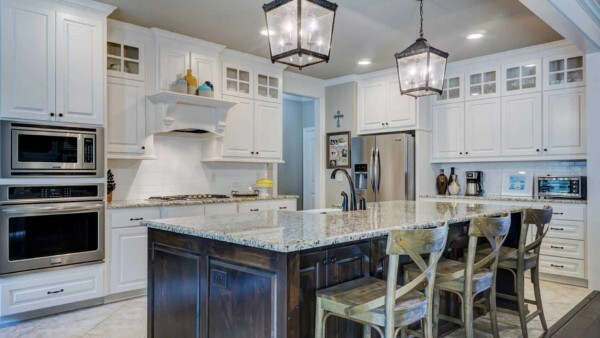 For many homeowners, the kitchen is the heart of your home. Whether you’re buying a new house or thinking about remodeling your kitchen, it pays to start by reviewing how you use this special room. We’re eating out more so new homes tend to have smaller kitchens (and bigger closets). What’s important is understanding your priorities and balancing these against new kitchen design trends. We hope you had a wonderful holiday with family and friends. And now that the decorations have been put away, your home might not feel as warm and inviting. Everything might be clean and organized but something is missing? As the holidays approach, each family looks forward to their own traditions. These typically focus on decorating the house, baking cookies, preparing special dishes, buying gifts and of course, visiting with friends and family. The holidays are a wonderful time of year but what if you could capture more of the excitement, the memories and enjoy them all year. Want to Be Comfortable this Winter? With so many storms and other natural disasters in the headlines, it’s hard to ignore today’s changing climate. Fortunately each of us doesn’t have to worry about every type of emergency but chances are you’ll have to deal with one during your homeowner journey. So this month we decided to review what you can do to make sure you, your family and your home are ready for a disaster. Do you remember when your cell phone took on a new identity that we now recognize as a smart phone? There’s no real definition but we all recognize that todays’ phones do a lot more than phone calls. We can send and receive e-mail, search the Internet, watch videos, edit documents, download apps and more. You get to pick which apps you enable on your phone and similarly, you get to decide which smart products you want in your smart home. As the kids head back to school, parents are breathing a sigh of relief that life will settle down into a more predictable routine. With new schedules, it’s the perfect time to review and change where things are stored to keep the kids and house more organized. Given a choice, who wouldn’t like less clutter? Decorating styles are changing, although it’s not clear what’s driving these changes. Maybe it’s because we’re not moving as often, so there’s more disposable income to make the updates you’ve always wanted to your home. Maybe it’s new, open floor plans and higher ceilings that give us more choices when it comes to decorating. The reality is we’re breaking decorating barriers everywhere – in the hallways, stairs, living rooms, bedrooms and even bathrooms. So we thought it was time to explore all the new and affordable ways homeowners have found to dress up their walls and ceilings.